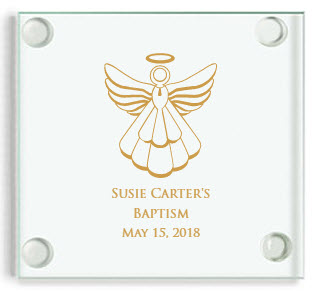 Your search for unique baby christening favors ends here! 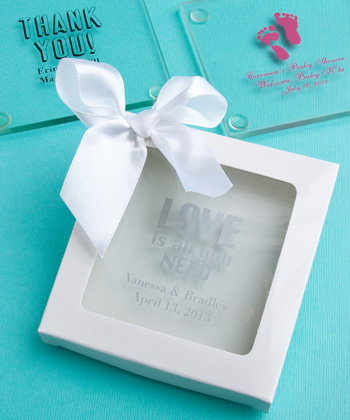 Our new custom glass coasters offer a functional personalized gift that everyone can use! 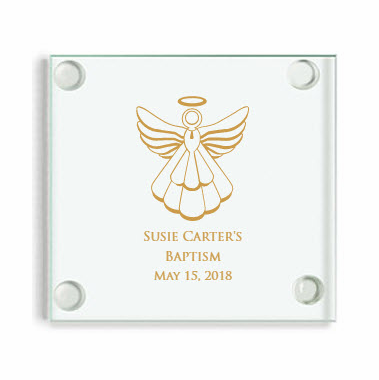 Present your guests with a keepsake that will showcase your special event and protect your furniture at the same time.